What Happens to a Garnishment in Bankruptcy? If you have fallen behind on your bills and collection lawsuits have been filed against you, it is important to understand that once a creditor obtains a court judgment against you collection efforts will begin. Once powerful and commonly used collection tool is the garnishment of your accounts and/or wages. The creditor serves either your bank (or other account holder) or your employer with an order instructing it to pay money that is owed to you, directly to the creditor instead. If you hold money in an account, a creditor can generally file a garnishment action against the funds being held by the account-holder. In some cases the creditor can take all of the funds in your account, but you should be aware that there are certain exemptions provided by law that can protect certain types of funds. Thus, if you are served with notice of a garnishment, you should confer with an attorney to determine if any exemptions apply in your case. If a judgment creditor serves your employer with a wage garnishment, your employer will be required to pay a certain portion of your wages directly to the creditor (or in some cases to the court). A garnishment against your paycheck is often “continuing.” This means that the deductions will continue to be made against every paycheck you receive until the creditor’s judgment against you has been paid in full. If your employer refuses or fails to comply with the terms of the garnishment order, the court can hold the employer liable to pay the total amount that is due. Under the federal law, the percentage of your income that can be garnished by a creditor is limited. Only your “disposable income” or the amount of your paycheck less any required deductions (such as taxes) is subject to being garnished. As soon as you file your Chapter 7 or Chapter 13 petition, the automatic stay goes into effect. The stay prevents any further collection activity against you while your bankruptcy case is pending. This includes any collection lawsuits or garnishments against you, so they are immediately halted. Additionally, you will start receiving the full amount of your paycheck again. In certain instances, you may even be able to recover some amounts that were previously garnished. You may also be able to discharge or eliminate the debt linked to the garnishment in your bankruptcy filing, which means you are no longer liable to pay it when your case is successfully concluded. A garnishment is a powerful collection tool used by many creditors to collect on a judgment for money owed to them. The two types of garnishments are account garnishments and wage garnishments. The creditor directs your bank or employer to pay money that is owed to you, directly to the creditor instead. A creditor can file a garnishment against a bank account or other account-holder. There are some exemptions that remove certain funds from the reach of creditors, but in many circumstances the creditor can remove the full amount owed from your account. A creditor can serve your employer with a wage garnishment directing that a certain portion of your paycheck be sent directly to the creditor or the court. A wage garnishment is usually “continuing,” which means it continues to apply to all of your paychecks until the creditor has been paid in full. If your employer fails to comply with the garnishment order, your employer can be held accountable to pay the total amount due. It is important to note that federal law limits the percentage of income a creditor can garnish to your “disposable income.” This is the amount of your paycheck less mandatory deductions such as taxes, social security, etc. As soon as your Chapter 7 or Chapter 13 has been filed, the automatic stay is effective and prohibits any further collection activity. This includes any pending garnishments, which are immediately halted. It also means that you will begin to receive the full amount of your paycheck again. 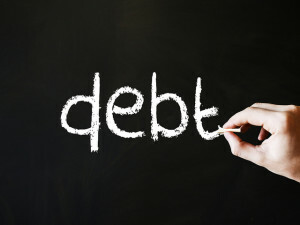 In many cases, the debt linked to the garnishment is discharged, which means you are no longer responsible to pay it when you emerge from bankruptcy. Attorneys Mike Faro and Chris Crowder help individuals, families and businesses with foreclosure defense throughout Central Florida, Brevard County and the Space Coast of Florida.